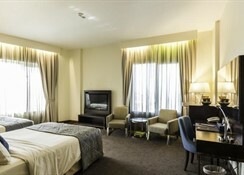 Plan a fun-filled trip to this Howard Johnson Bur Dubai conveniently located near Dubai International Airport with shuttle service. Swim with sharks at the Underwater Zoo and Aquarium, or relax in the sun and breathtaking turquoise waters at Jumeirah Beach. Explore Dubai Museum, and visit the expanse of stores at BurJuman Mall. 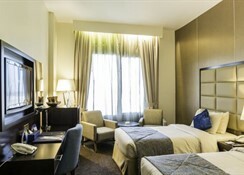 Business travelers enjoy close proximity to many banks and the Dubai World Trade Centre. After a fun day, enjoy delicious meals at the many on-site restaurants. Energize in the fitness center, stay productive in the business center, or relax at the outdoor pool, hot tub and saunas. Connect to wireless Internet access from the comfort of your guest room with mini bar and coffee-maker. 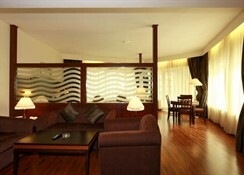 Suites and smoke-free rooms are also available. 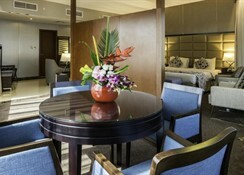 Each guest room comes equipped with en-suite bathroom, satellite TV, climate control, mini bar and telephone. The hotel boasts a selection of dining and entertainment options: an Indian restaurant with traditional music and dance, a kebab restaurant, a nightclub and a coffee shop. 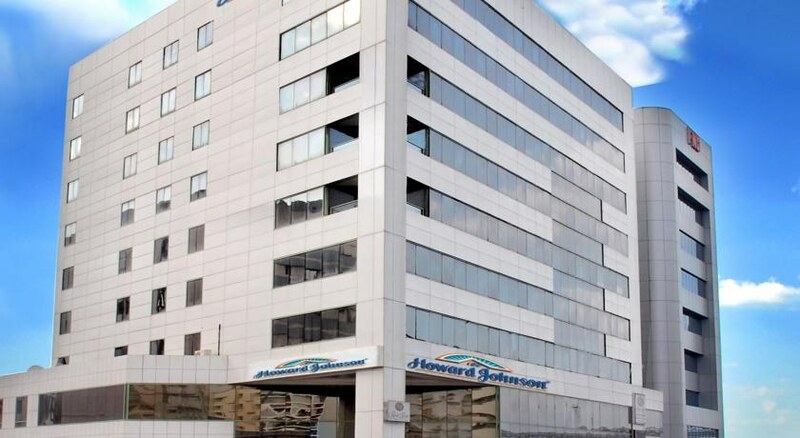 Howard Johnson Hotel is located in the centre of Bur Dubai close to a range of shops, restaurants and bars. The centre of Dubai is just a short drive away.